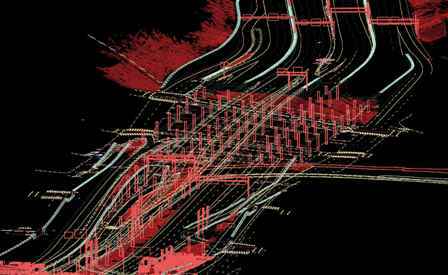 WSDOT GeoMetrix Office uses 3-D Terrestrial Laser Scanning technology to produce very accurate, very dense 3-dimensional digital data sets (called "point clouds") used for CAD mapping. 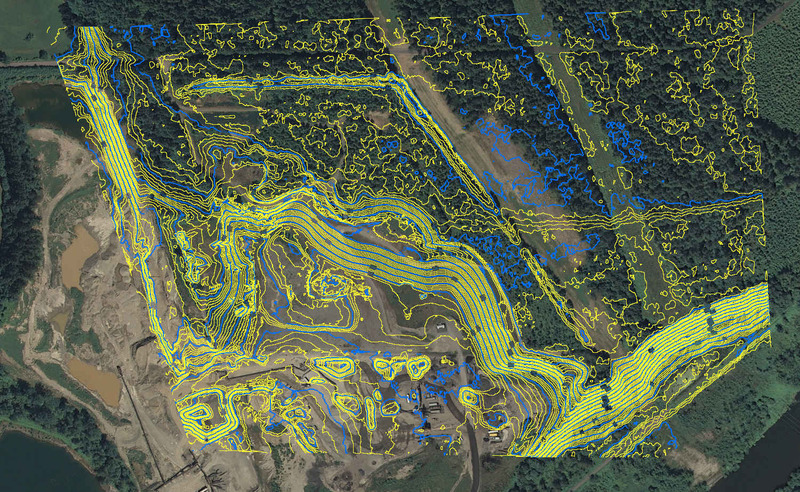 This technology is a fast, safe, and efficient way to model and measure many areas where it can provide advantages over traditional survey or photogrammetric methods. 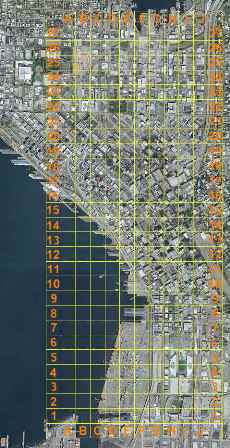 The WSDOT GeoMetrix Office and Geodetic Survey Branch are highly skilled and experienced in this advanced technology. 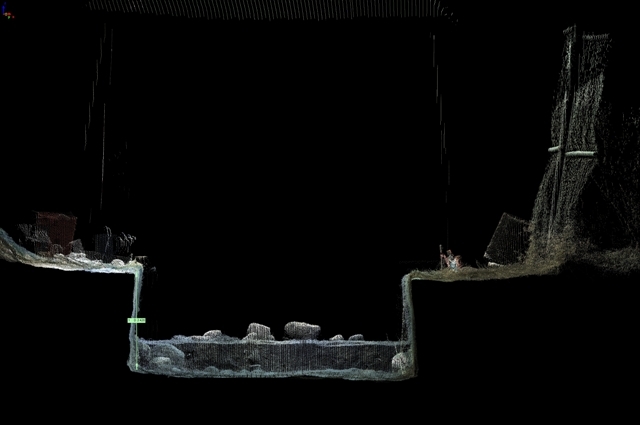 The Geodetic Survey crew scans the project while the Photogrammetry staff processes the data to the final 3D CAD deliverables. 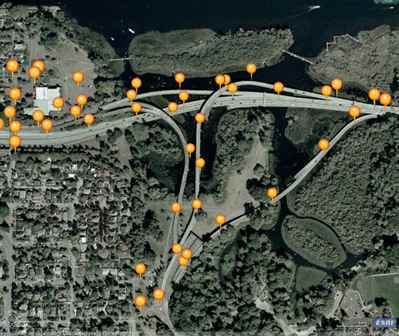 The image above is the SR 410 Nile Valley Landslide that occurred in October 2009. The image reflects a combination of short range, long range and airborne LiDAR data sets. 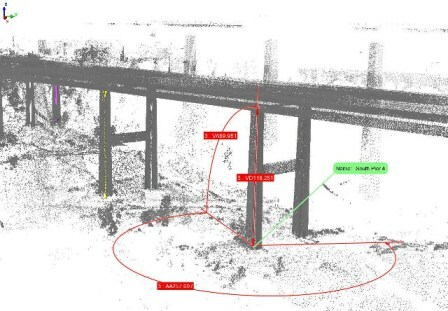 Expand data collection to difficult areas such as slopes, tunnels, high buildings and structures. 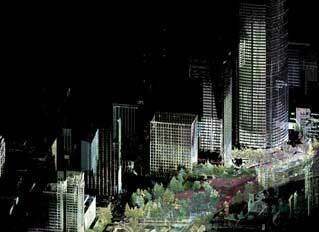 Integrated high-resolution digital camera provides coverage of scanned scenes. 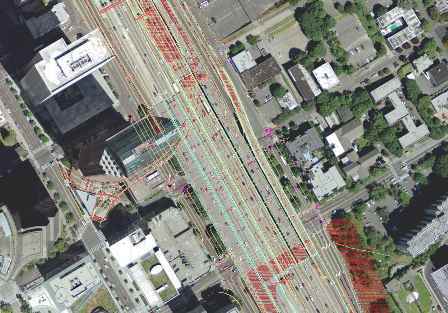 Deliverable design file compatible with WSDOT design software and procedures. 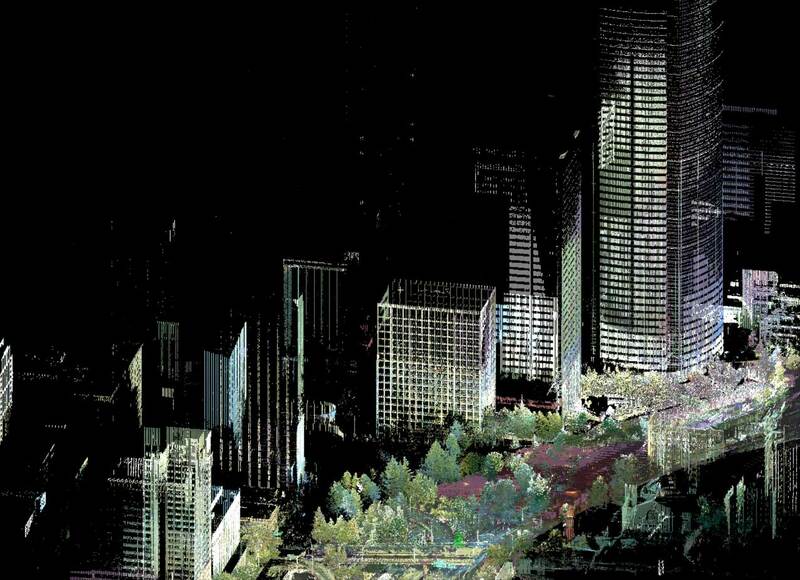 Note: Terrestrial Laser Scanning is not a replacement for Survey and Photogrammetry. 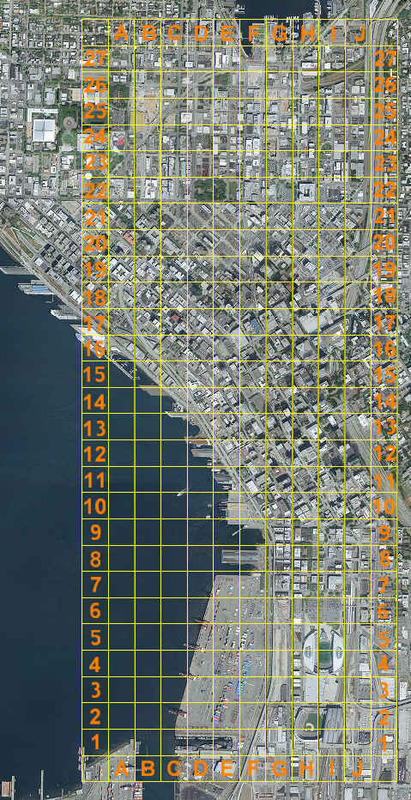 It is an additional tool to enhance the mapping process. 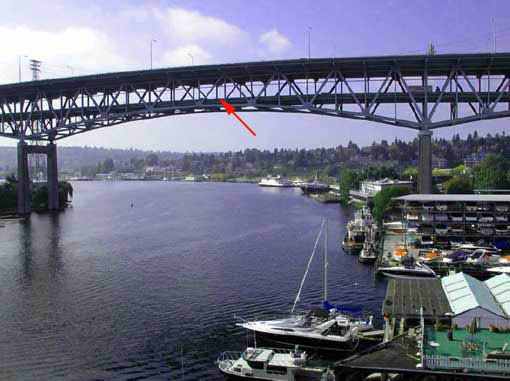 Substructure of lower deck on the Ship Canal Bridge Express Lane. Vibrations of traffic on upper deck disallowed conventional survey. 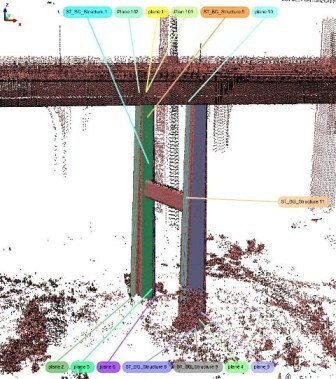 Individual scans represented by colors are part of the 3DTL technology that allow accurate data scans on moving structures. 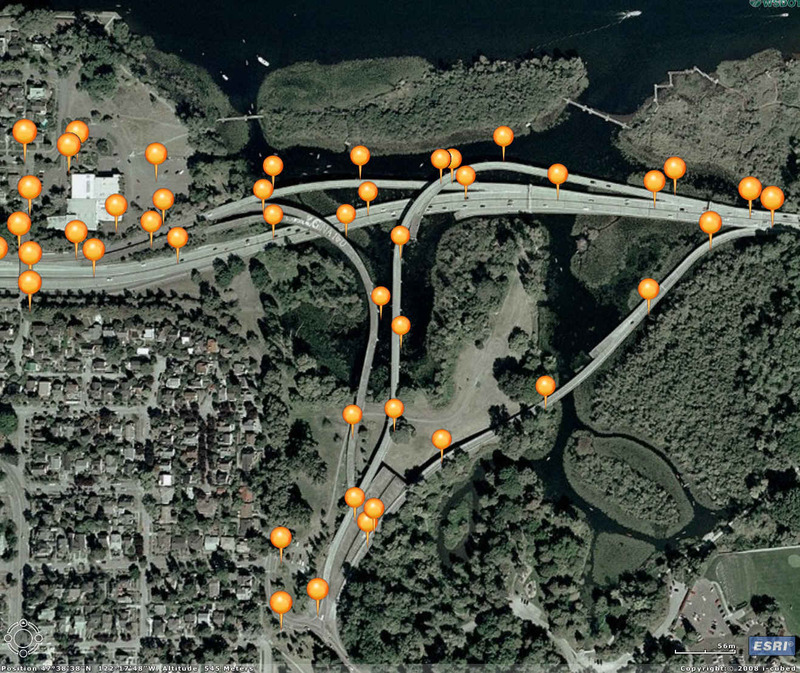 Interstate 90 Latah Bridge - roadway wear & ruts shown in variegated colors. 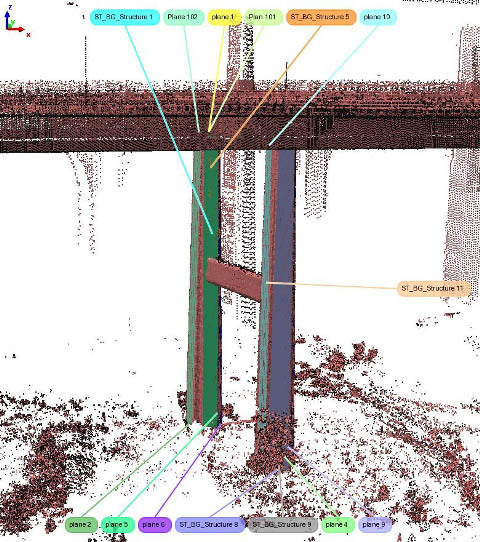 Interstate 405 Thunder Creek - deformation of roadway surface shown in variegated colors. Cross section view of volumetric calculation for cut and fill. Wrap around mesh of a rock face - new software technology allows all surface meshes to be on its own plane. 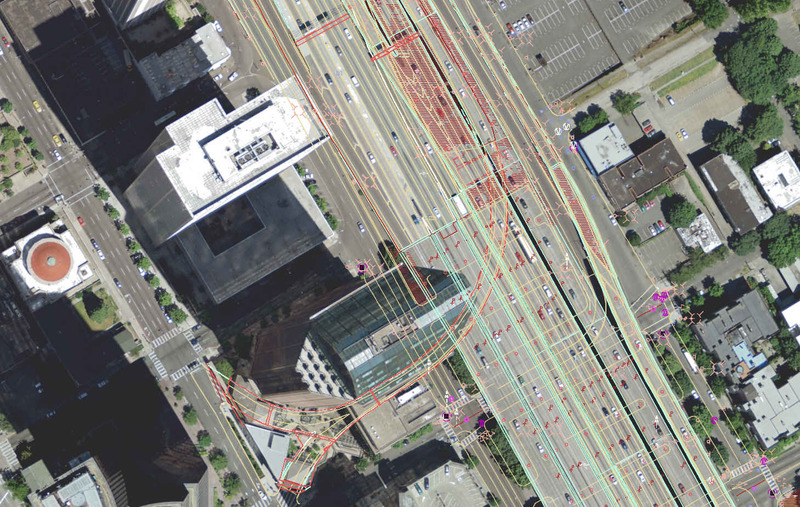 WSDOT scan locations for all 3DTL projects are maintained in Transmapper with a GIS compatible layer. 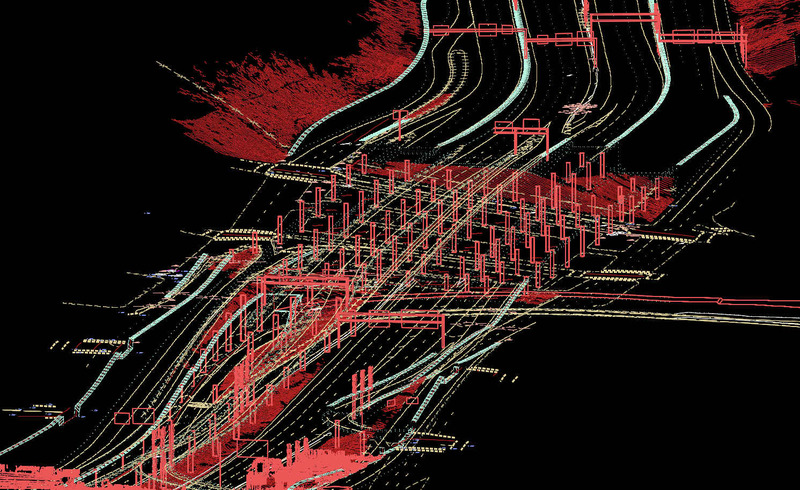 Scanned data sets can be enormous, reaching a billion points or more. 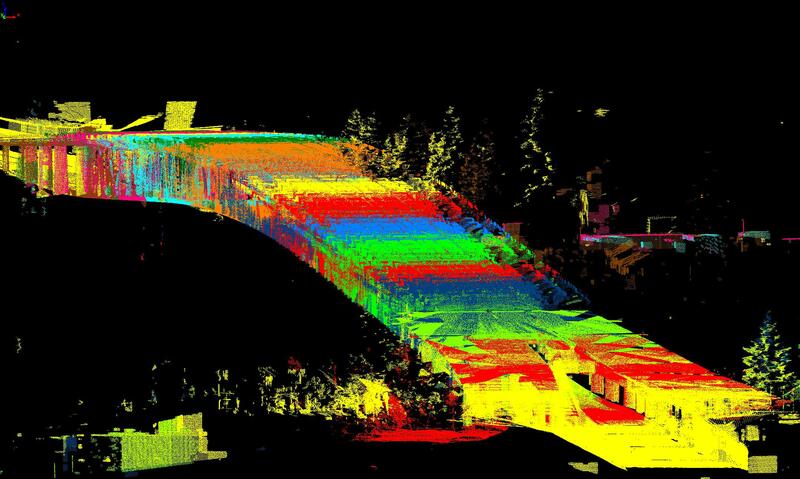 WSDOT Photogrammetry uses enhanced computers and software systems to manage these massive data sets. 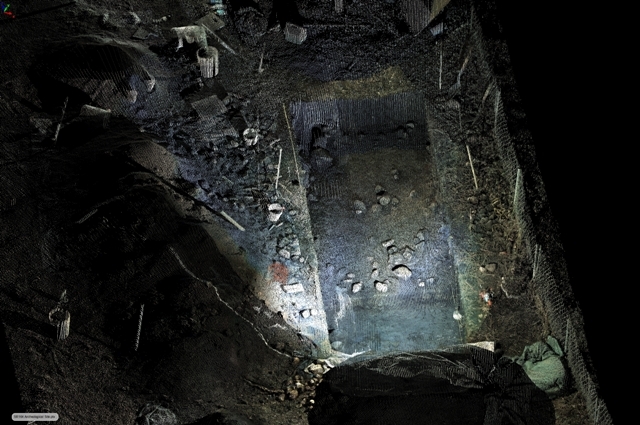 Photogrammetry produces standard WSDOT CAD files that can be used on regular computers used by project designers and planners.